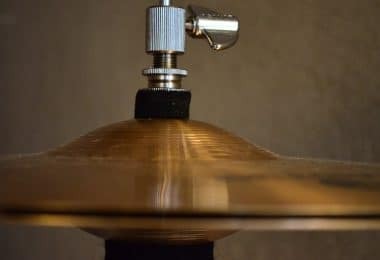 Metal vs. Wood Snare Drums - What's the Difference And How Does It Affect The Sound? Metal vs. Wood Snare Drums – What’s The Difference? When it comes to metal vs. wood snare drums there are countless materials on the market, with new ones emerging each year. Take an in-depth look into each material to see which is best suited for your playing. Sometimes having too many options can be a bad thing. When it comes to snare drums, it can be a bit overwhelming when trying to decide from all the different materials available. How are you supposed to know the difference between all of them? 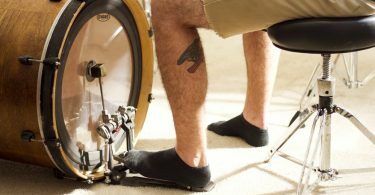 In this article I’ll clear up any confusion you might have, and by the end you’ll have a clear understanding of what snare drum material will be perfect for you. Before we get started it’s important to know that the shell isn’t the sole factor when it comes to the sound of the drum. Depending on what type of head you put on it, what kind of wires it has, the tuning, and the depth, the sound of the snare can be radically different between similar materials. The size of room you play in also makes a big difference in the sound. So what difference does the material make then? In general, metal snare drums tend to be more ringy and bright, while wood snares bring more fatness and warmth to the overall tone. Metal can pack a punch and really cut through the mix, while wood can have an arguably better rounded tone and lean toward the dry side - especially in recordings. 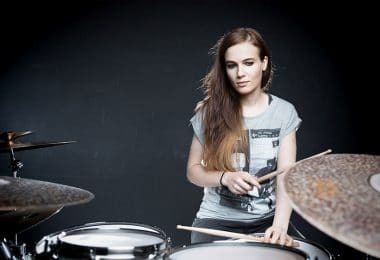 Typically, drummers who play a heavier style of music prefer metal drums in order to cut through the other instruments, while drummers playing softer styles of music enjoy the warm rounded tone of wood snare drums. This is certainly not always the case as you’ll see below. There are many types of woods and metals to choose from, and each have their own unique characteristics. 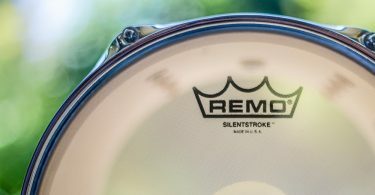 Let’s take a look at some of the different types of common snare drum materials. Aluminum snare drums are one of the more affordable and common metal snares. They are both light and durable which make them great for transporting, and their high resistance to corrosion means that they aren’t as high maintenance as some of the other material types. Aluminum snare drums have a very aggressive attack, coupled with a dry, airy response. The high-end tends to be very crisp, while the mid-range and low-end is warm and open. The sustain on this material is not as much as steel or brass which means that you won’t need as much (or any) dampening. It’s often described as being colorful and sensitive. One of the drumming greats, Dave Weckl, is known to use aluminum snares and he even has his own signature Yamaha aluminum snare. Steel snare drums are the least expensive of the whole bunch, and are great for beginners to intermediate players and budget drum sets. This material can really cut through the mix with its clear highs. The midrange and low end are pretty average, making this a great all-purpose material for lots of different styles of music. One drawback is that since steel can easily rust or corrode it requires constant upkeep to maintain. Some notable drummers that use steel snare drums are Chad Smith of Red Hot Chili Peppers, and Taylor Hawkins of Foo Fighters. Sitting right between the common sounds of wood and metal is the brass snare drum. Brass has a much darker character than the other metals and it has a full low-end attack. The highs, mids, and lows all sound very open, and it’s often characterized as musically warm and vibrant. One of the most famous snare drums on the market is Stewart Copeland’s Signature Brass Snare made by Tama. 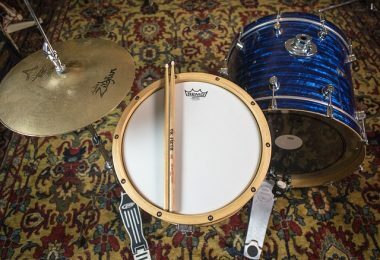 It’s a faithful reproduction of Stewart’s snare that he used during his time drumming with the Police, so if you want to get a feel for how a brass snare sounds in a mix go listen to some Police albums! Musical and loud, a bronze snare drum can fill up a stadium. That’s not to say it’s a clumsy beast - they can also be great for ghost notes and light articulation as well. Bronze is one of the most expensive types of snare drums you can get. They are known for their muted highs and powerful midrange and low end. Bronze is also described as having a warm characteristic and being ultra-responsive. Some well known drummers that use bronze snares are Danny Carey and Dave Grohl. Copper snare drums started to become popular only in the past few years. They can be thought of as a hybrid between wood and metal with their deep low end and organic warmth/response. I would say it’s most similar to a brass snare, but less bright and with a bit more warmth. It tends to be easier to control any excess ringing on a copper snare than on brass or steel. If you are going for a very crisp, dry tone, then you should look into titanium snare drums. They have very clear highs and mids, and a boxy low end. Clear and focused is a good way to describe titanium. Check out Carter Beauford of Dave Matthews Band if you want to see a great drummer in action who loves titanium drums. Because of the abundance of this type of wood, Birch snare drums are one of the lowest priced and most common drums you can get. It features a boosted high-end, reduced midrange, and a very punchy low-end. Often described as low and cutting, Birch is a great way to go for a variety of styles. It has a full and round sound along with great projection, so filling up a large room will be no problem. Maple is basically a much harder, heavier, and more dense version of birch. It’s an all-purpose material with even highs and mids, and a warm low end. Most high-end drum sets are made of maple, and for good reason. Maple is one of the best materials when it comes to getting a great controlled tone. Maple snares have a large amount of resonance, and have a warm, even tone. They tend to not project as much as birch drums though, so keep that in mind if you tend to play in large areas or need to cut through a heavy mix. The third most common wood drum-type behind birch and maple is mahogany. It’s a bit more expensive than the others since mahogany manufacturing is more rare. If you find a cheap one, make sure that what you’re getting is african mahogany and not it’s cheaper cousin called Luan. Mahogany is known as having much more low-end than other wood types. The tone can be described as warm and soft, and it offers less projection than both birch and maple. The highs are pretty muted, the midrange is smooth, and it has a warm/rich low end. Vibrant and resonant is a great way to describe the tonal characteristics of mahogany. With pronounced highs and mids, and a solid low-end punch, beech is a great alternative to birch and maple and it bridges that gap nicely. I’d say it has less of a low-end than birch, but more of a high-end than maple. Beech is a very common wood so price shouldn’t be an issue, however because of it’s high density beech snares tend to be on the heavy side. The tone is very focused, but you get enough sensitivity to be able to play lots of ghost notes and still be heard. If you can imagine a dark, earthy sounding version of a maple snare drum then you will end up with walnut. It has an equal amount of highs, mids, and low tones throughout. I’d describe it as being very big and warm sounding. Walnut has about the same amount of brightness as maple, but with the addition of higher harmonic overtones. With soft highs, a decent amount of midrange, and a warm low-end, oak is another great all-purpose choice. It has a fairly quick decay, so over-ringing is not usually a problem. Dense and heavy, is features a very bright and loud tone - great for cutting through the mix. Cherry snare drums feature boosted highs, a punchy midrange, and a pretty average low end. Often described as bright and in-your-face, a cherry snare drum will have no problems standing out. If you are looking for more volume, then cherry is worth checking out. Bubinga is the newest material of the bunch, being introduced to Tama’s Starclassic series in the 2000’s. It’s most related to maple in tone with an even amount of highs and mids, and it features a very rich low-end. I’d say it has a full, rich sustain and a nice punchy attack. Bubinga is an extremely dense material (50% more dense than maple) which gives it a very dark, fat attack which is perfectly suited for heavier styles of music like metal or hard rock. It’s often used alongside maple or birch in different ply combinations, but it’s still possible to find a full bubinga shell. Too Many Options...Help Me Decide! As you can see, with such a large variety of materials including the many other variables that affect drum sound, it can be a hard decision deciding what to purchase when it comes to metal vs. wood snare drums. 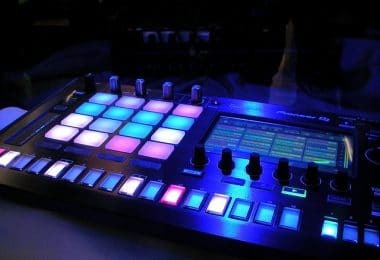 Unless you know for certain that you will be playing only 1 style of music or if you have a specific artist you want to replicate, it can be a good idea to go with a well-rounded material that will be suited for almost every occasion. If you are having a hard time deciding, I’d suggest going with a maple snare drum since it’s known as being the top standard industry work-horse. If you know you want to go with metal to cut through the mix a little better, aluminum is going to be the most well-rounded and common choice for you. 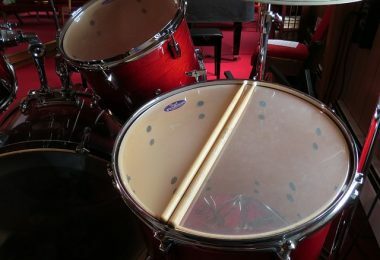 Many studios and drumming professionals carry multiple styles of snare drums to be prepared for any situation, so that’s a great option as well if you can afford it.